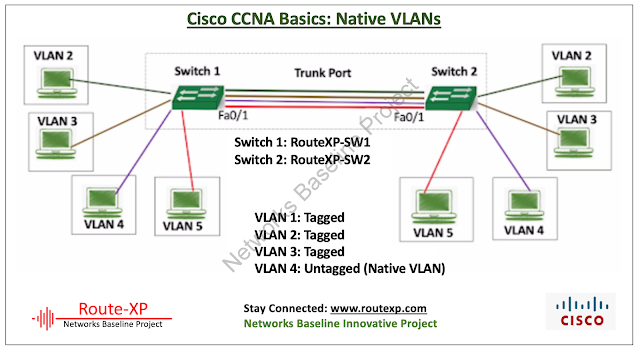 Today I am going to talk about the Native VLAN concept in Switched network. The native VLAN on a trunk port is the vlan to which any untagged traffic on the trunk port is assigned. Usually a trunk port directs and accepts 801.Q VLAN tagged Ethernet frames. If a switch obtains untagged Ethernet frames, they are dispatched to the VLAN that is configured on the switch as native VLAN. Both sides of the trunk link must be configured to be in same native VLAN. Native VLAN is a dot 1Q idea that was built for backward compatibility with ancient devices that don’t support VLANs. Frames belonging to the native VLAN are not tagged when sent out on the trunk links so older devices can simply understand. Frames received untagged on the trunk links are set to the native VLAN. 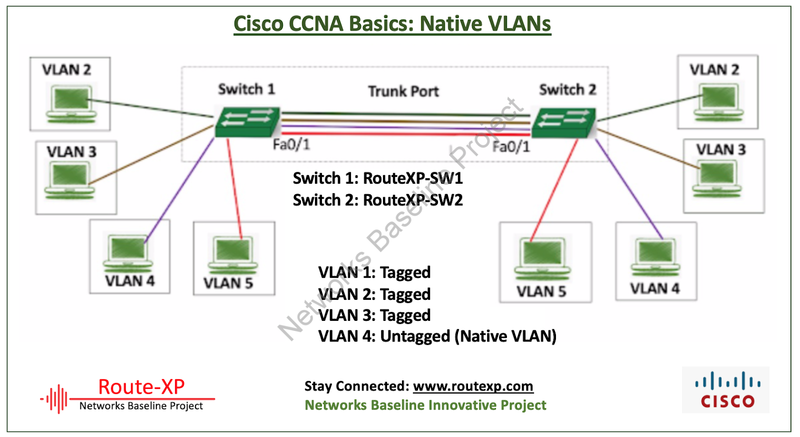 This default behavior can be changed by configuring the switch to tag native VLAN frames using the global command vlan dot1q tag native. So, if the trunk port receives an untagged frame it is assumed to be part of native vlan.